On Sunday morning, don’t miss the old-fashioned pancake breakfast in downtown Larkspur—with pancakes, sausages, fruit, and famous Gin Fizzes—at Larkspur’s American Legion Hall from 8 to 11 am at the corner of Ward Street and Magnolia Avenue. 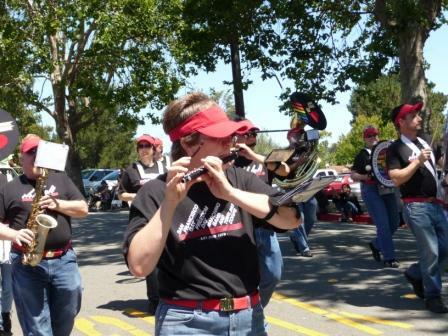 The parade starts at noon from Redwood High and winds through downtown Larkspur then down Tamalapais toward Town Park. Inexplicably, the police close off Tamalpais at 11:30, just when parade and party goers are heading toward downtown. So get there early, and then enjoy the post-parade festivities at Town Park until 5 pm….